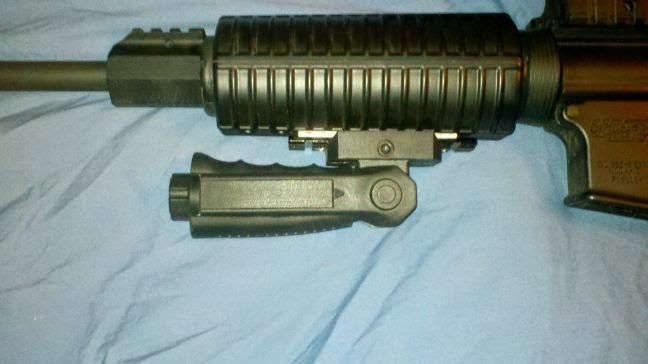 This is the extra battery compartment and a pressure switch cover. 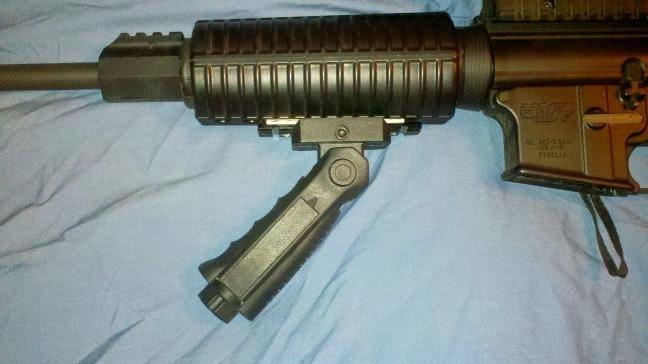 The foregrip was easy to attach and made his rifle more comfortable to hold and provided some stability. Best part, it comes with a 5 year warranty. 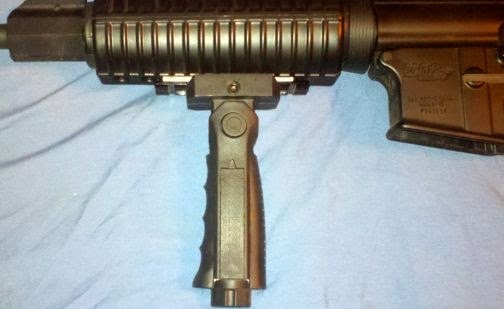 This vertical foregrip is less than $20 and is well worth the price. 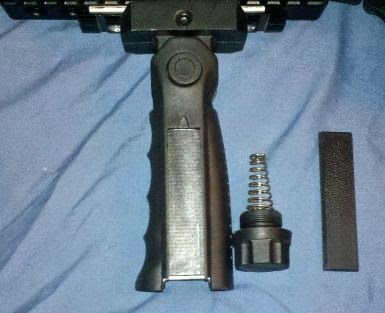 It is solidly built and can be placed in 3 different positions. 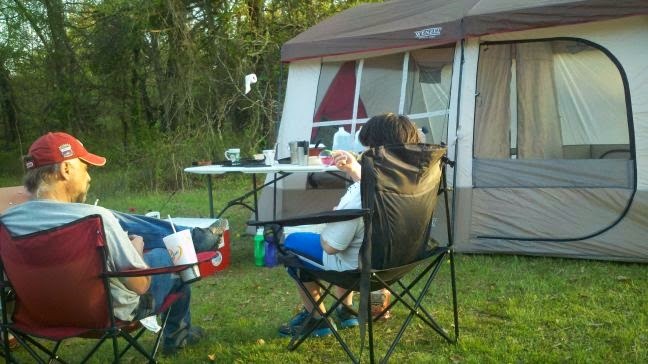 We have some friends that love to go camping but really have nowhere to camp at so a few times a year we invite them out to our place and they camp out on the property. We pitch a tent also and we all have a good time. 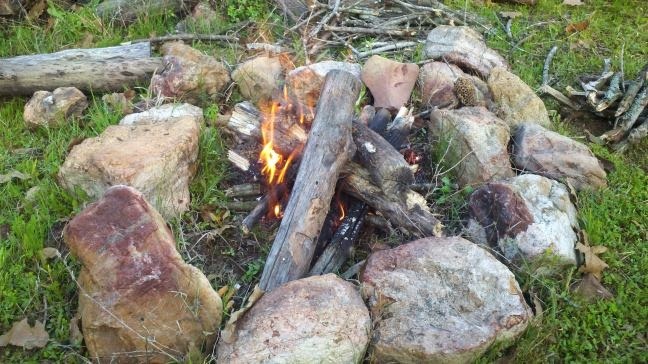 Hubby teaches people about how to build a campfire; how to skin and butcher wild life; etc. 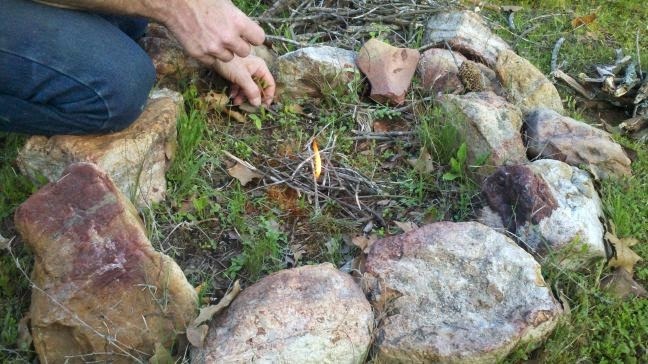 and our teenage son teaches foraging, plant identification and trapping. Here are some pictures we want to share. Ronny blowing a bubble and visiting with my husband's best friend. 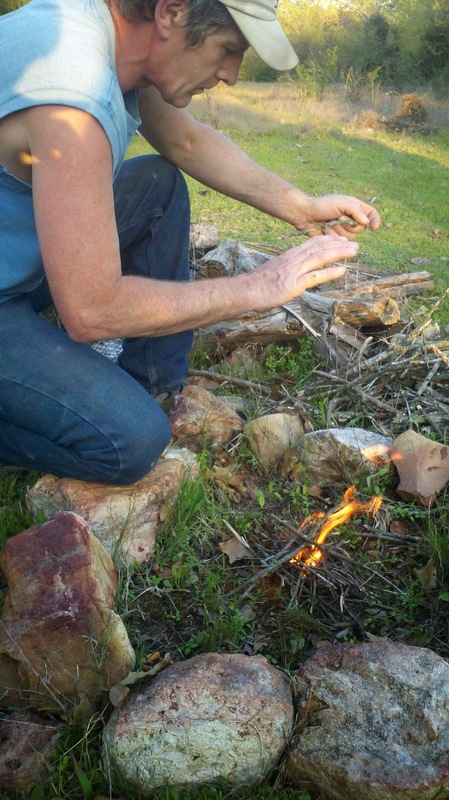 Starting the fire with a prepared cotton round. 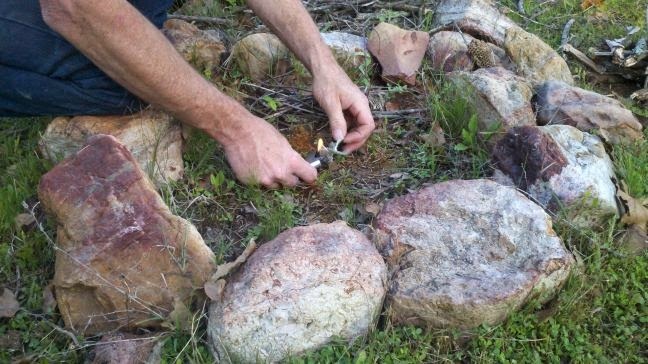 In the above picture, my hubby is using one of the fire starters I make to make starting the camp fire a piece of cake. 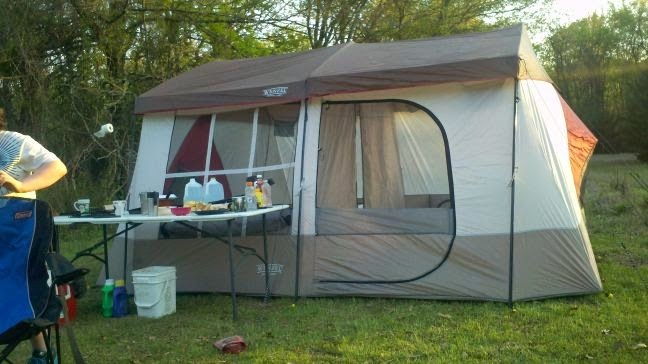 This is the tent we stay in. It is really big and has two rooms. 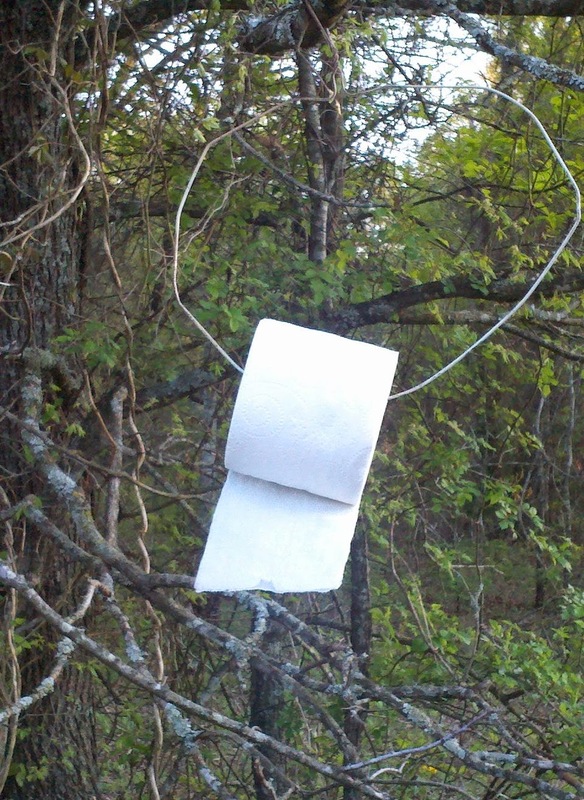 Easy way to keep toilet paper handy, use a wire coat hanger. 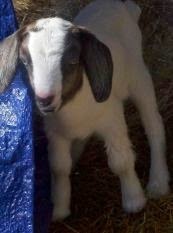 Our Boer nanny finally had her baby. She had only one on Wednesday, April 9, 2014 but luckily, it was a girl. We have named her "Chloe". 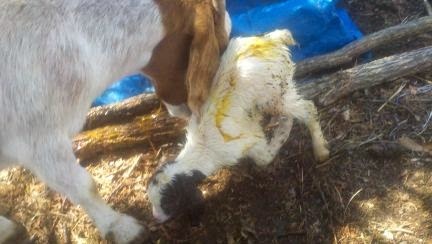 This was taken minutes after her birth. Bo is cleaning her off and Chloe is still trying to figure out how to stand. First feeding. Getting in that good colostrum. 5 hours after being born. Here is a updated post on Chloe at 2 1/2 months old: Update on Chloe. Yahoo! We made it. Today marks the 2nd year anniversary for Countrified Hicks. Can you believe it? I am so please you stuck by me for 2 years and if you are new to my blog, hope you stay awhile and have a look around. 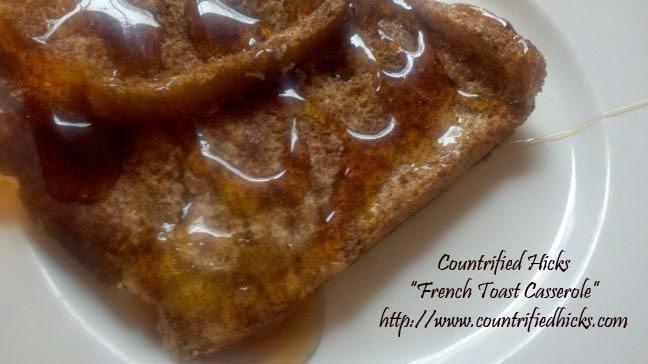 In the past years, I have shared nearly 100 recipes with you, numerous posts and videos on frugal living, as well as posts on how to dehydrate and can; farm living; and homeschooling. I have completed over 260 blog posts, meaning I average a new post about once every 3 days. In the past two years, no post has received nearly as many page views or comments as the post on frugal living on how our Family of 4 live off of $1300 a month. That post alone generated over 65,000 page views! Video blog #2 and doing laundry country style. As far as recipes go, my post clicked upon and pinned recipe is How to make homemade bread in one hour with nearly 10,000 page views. 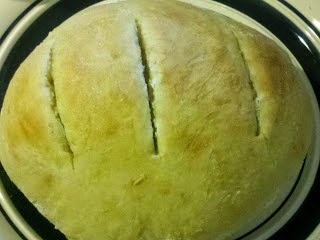 One of the loaves of bread that I made. 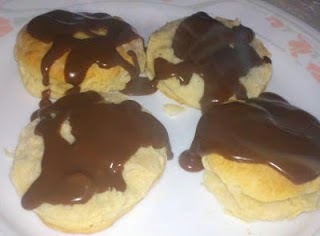 French Toast Casserole and Homemade biscuits with Chocolate Gravy. 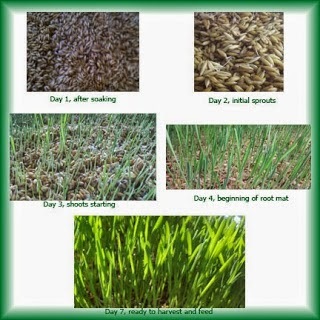 Finally, to wrap things up, the most popular post on Farm Living would have to be on How to grow fodder for your animals and for prepping, How to set up a Cache Bucket. 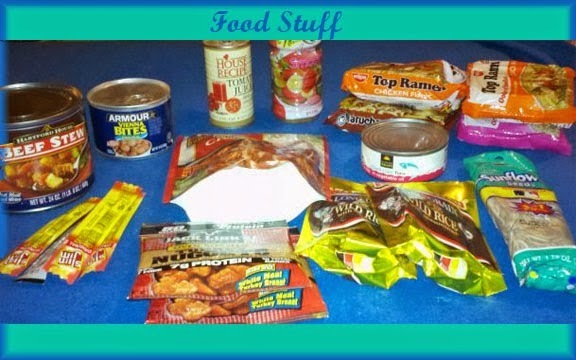 The food items to go into a survival bucket. What has been your favorite post I have done these past two years? What do you want to see more of? 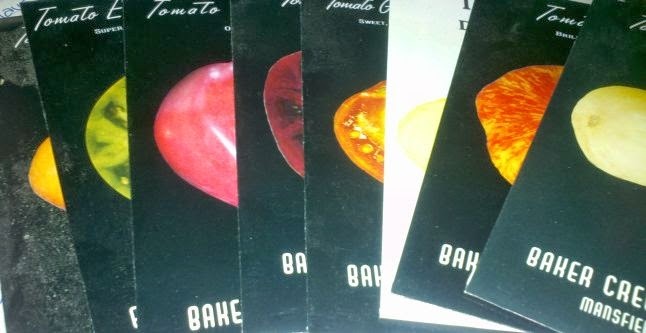 Baker Creek Heirloom Seed Company has graciously allowing me to hold a giveaway and the winner will receive an 8 pack of color tomatoes. Here is a list of the seeds you will win if your name is chosen by Rafflecopter. All of these seeds are open-pollinated heirloom seeds. You can harvest the seeds from the plants and use them to grow more tomatoes in the following years. Baker Creek also gave me a set and I just planted mine and will update you all how they grow and produce for me.